Hoe hoe grow: And the winner is .... ? The gold envelope awaits, with the name of the winner hidden deep within, but which name is written there ? There are lots of shooting stars, fizzing up into the firmament, then fizzling out all too quickly. Fantastic for that brief moment in time, but then they leave a great big hole in the border when they've gone. Some of those shooting stars are amongst my favourites - the delphiniums, lupins, Dicentra Spectabilis and peonies, for example - but I hate trying to fill that gaping hole, hate the pruned stems, hate that feeling of loss so early in the season, when they've done their thing and vanished. So my star performer wouldn't be from this group of flighty thoroughbreds. The opposite to the shooting stars are the dependable, sensible ones, bumbling through the whole season, without any major changes, and without any major surprises. 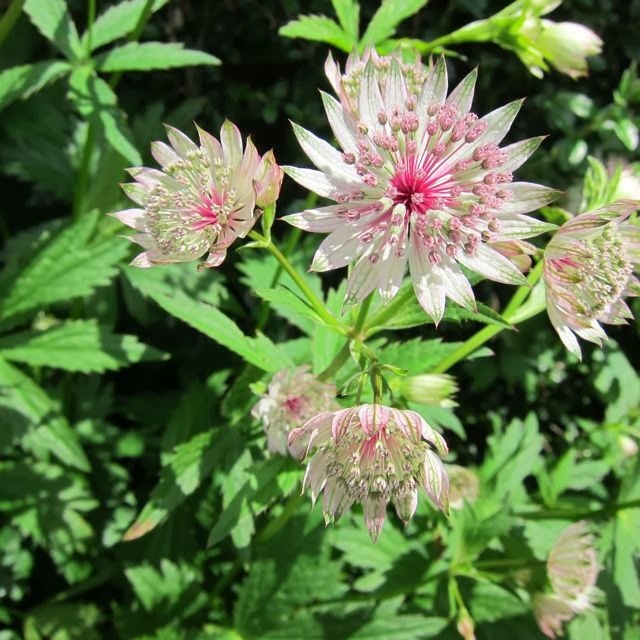 The beige cardigans of the plant world - the geums, astrantias and (sorry!) some of the geraniums. Nothing earth shattering, but good doers, plodding along through the season in an even-tempered way. The work horses of the plant world. Although I need them in the garden, and use them extensively, I wouldn't pick my prom queen from this group. 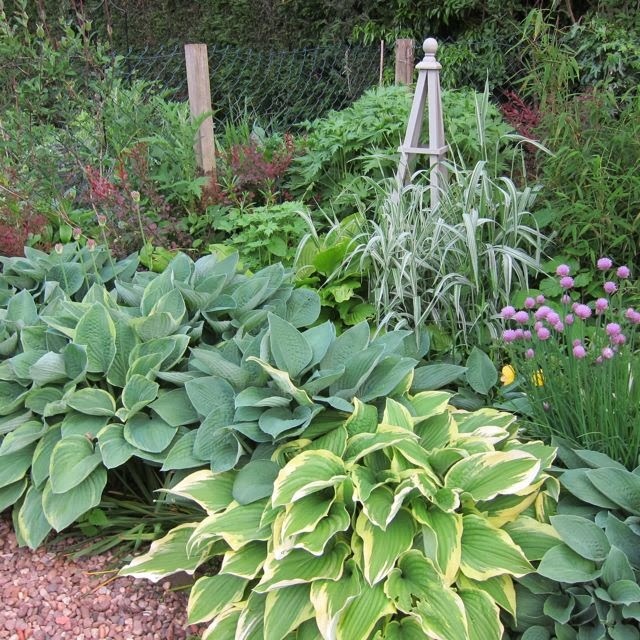 Can foliage plants take the crown ? 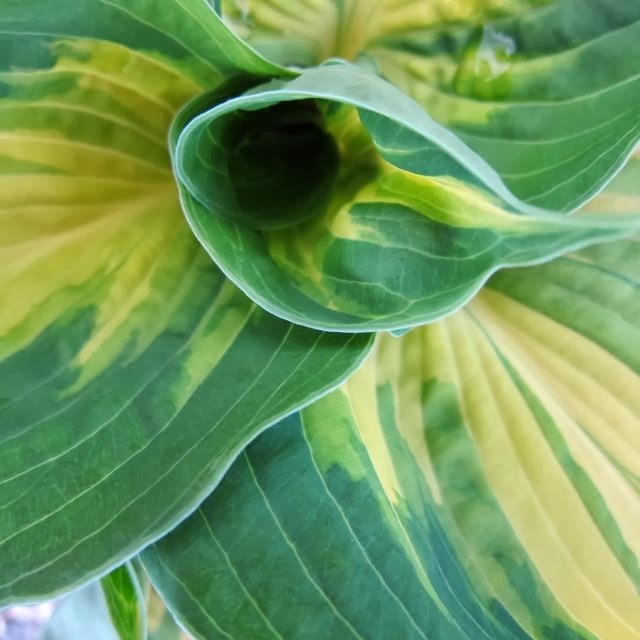 Plants like Hostas are fantastic, bringing texture and colour for months, and they do have the bonus of flowers too. I love them, I use them, I enjoy them, but to me they are scene fillers, extras, and not the star in the spotlight. So the name I would draw out of that golden envelope has to be very special, and has to have outperformed everything else this season. What has given the most pleasure for the longest time ? For me, it is all about colour, so the winner must be flower rather than foliage. The blooms which have given me the most pleasure are those of the David Austin rose 'Woolerton Old Hall'. Gorgeous incurving bowls of petals with a rich myrrh like scent and a subtle, creamy apricot colour. I savoured each bloom ... but there weren't many of them and they were easily damaged by rain or sun. Gorgeous, but not worthy of my 'Best performer' prize. Third prize. I think, witha proviso of 'could do better'. 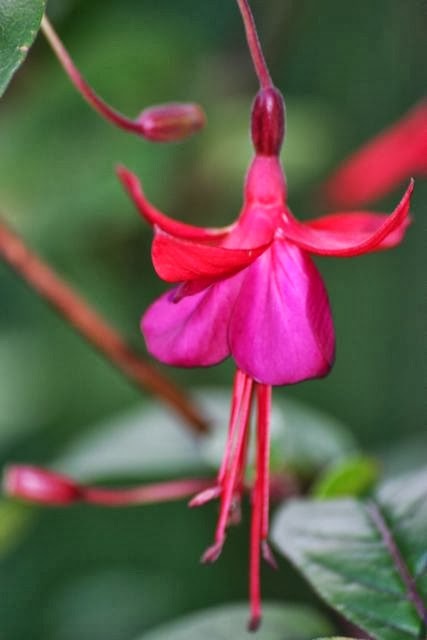 In second place the hardy fuschia 'Lady Boothby' as she has been flowering her big heart out for months now. 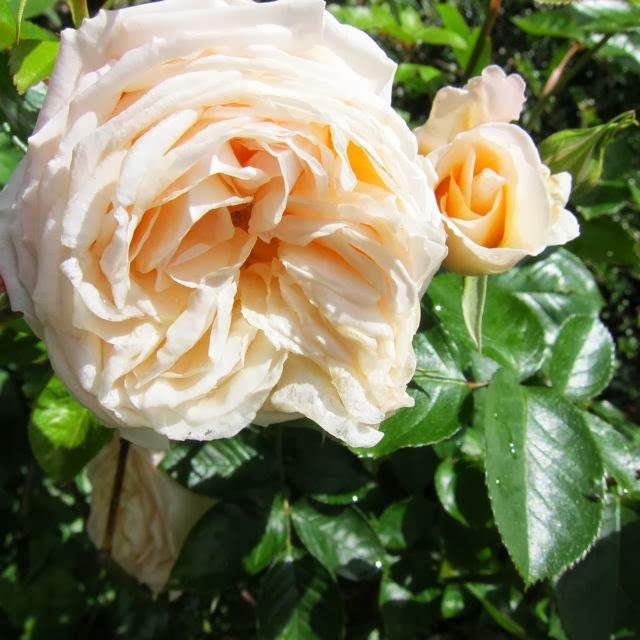 Large, luscious flowers which don't heed drought or flood, and all on a shrub which is as tough as old boots. The shrub itself is a pleasant presence throughout the growing season, and does not shrivel away to nothing after flowering, as perennials do. It is vigorous, easily propagated and very floriferous right up until the first frosts. Cheap, easy and reliable from seed. They are still flowering in the garden now, and it is now November. All they ask is for regular deadheading to keep them flowering. They are one of the only plants I grow from seed every year without fail, and, they grow beautifully ... every year without fail ! 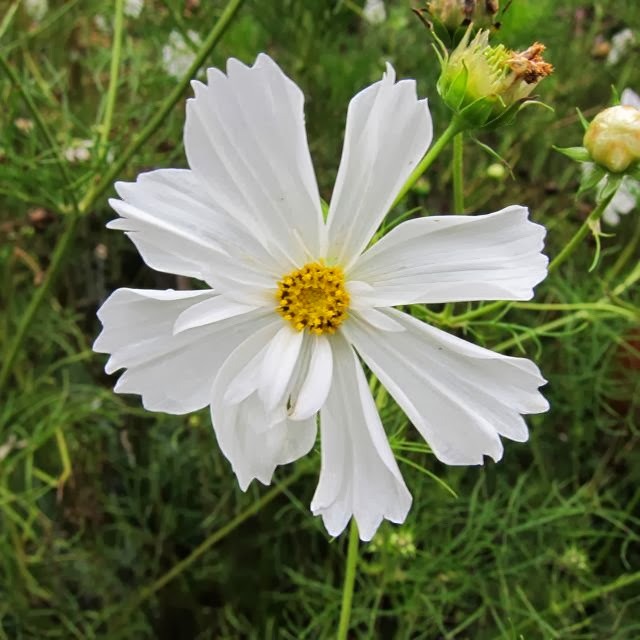 Cosmos! I just love this plant, and admire it often in other people's gardens. Can you believe I've never grown it? I don't know why I haven't. Obviously, I need to! Yours are beautiful. Hi and thanks for comments HG . Go on ... grow it, you won't regret it !! Reddish-gold sounds lovely.Will look forward to photos ! 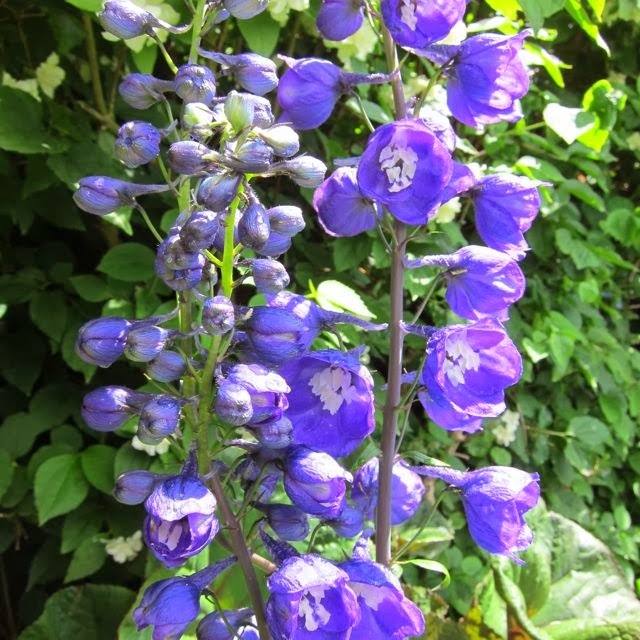 Is it too hot for the delphiniums and lupins , where you live ? Lantana ... there's a thought ! I've never tried it, but if it is right up there with Cosmos, then I should be giving it a whirl! Ah, thankyou Stephanie, the Autumn colour is late this year, and it is always so fleeting ! I enjoy your tease. I read your pontifications and rationalising without peeking at the pictures. The winner actually surprised me but I can understand why, as I am biased towards robust plants with all these positive attributes. No primadonna for me too. I agree, Stiletto, Zero tolerance for primadonnas ! 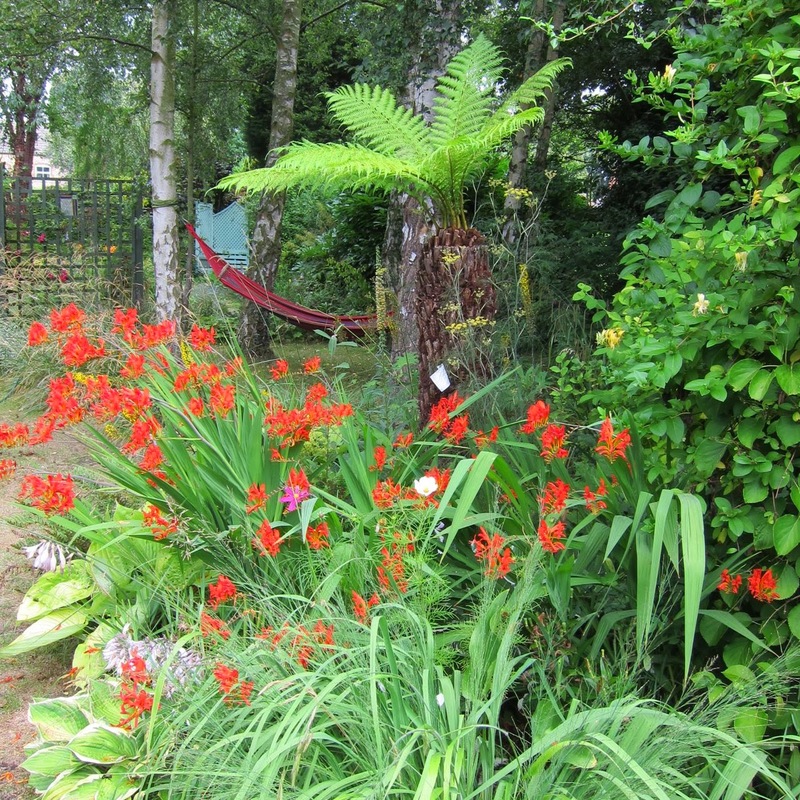 I like the plants that really earn their place in the garden! Your Lupine are beautiful. I fail miserably at growing them! Hi Flower Freak and thankyou for your comments. Whereabouts are you ? Is it a climate thing which makes lupin growing difficult ? I must admit I do little actual 'gardening' where they are concerned , just watch them grow really ! 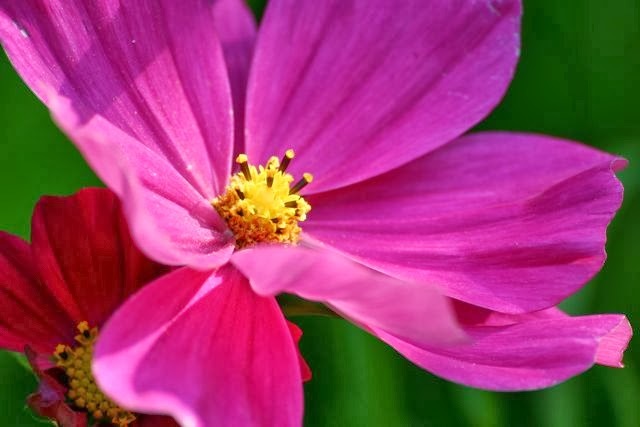 I love cosmos so your choice will get no argument from me. 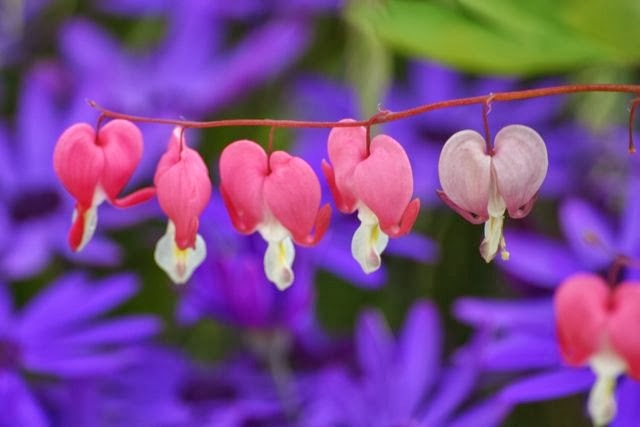 I thought that it was interesting that you noted that it is a flower that suits a contemporary garden as well as it does a traditional cottage one-not many flowers can claim to do the same. 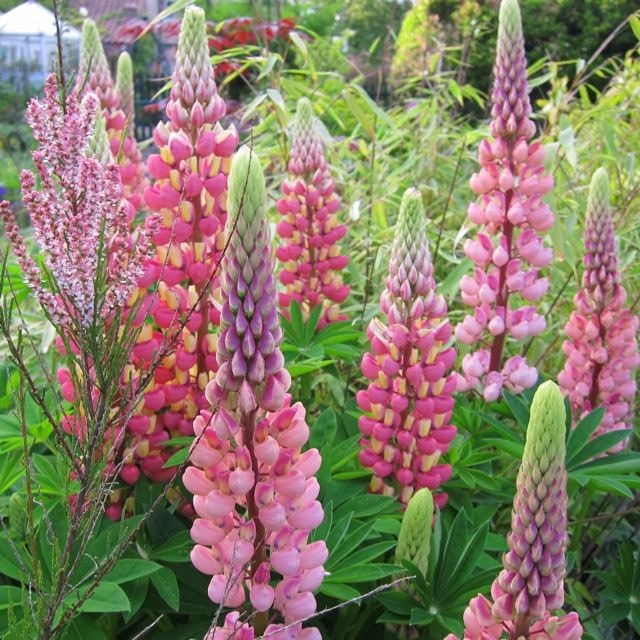 Your lupins, rose, fuchsia and delphinium are all beautiful runners up. Thanks for comments Jennifer, much appreciated. True, not many flowers can have roots n both the contemporary and the traditional camps . It is very versatile and sooo pretty ! 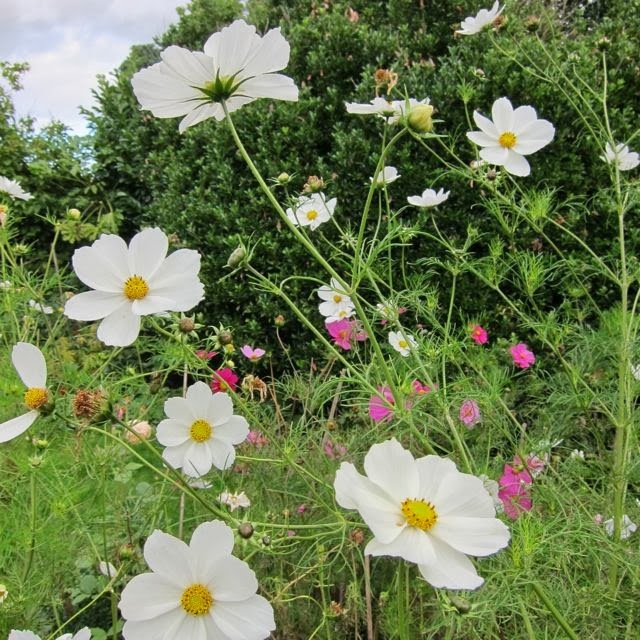 I was shocked to see Astrantia get passed by (I LOVE these plants) but I just cannot argue with a Cosmos. Love those beautiful reliable blooms.